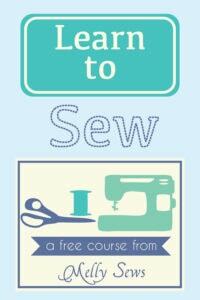 Hey y’all – welcome to the last day of May and the last sewing for men tutorial this month. 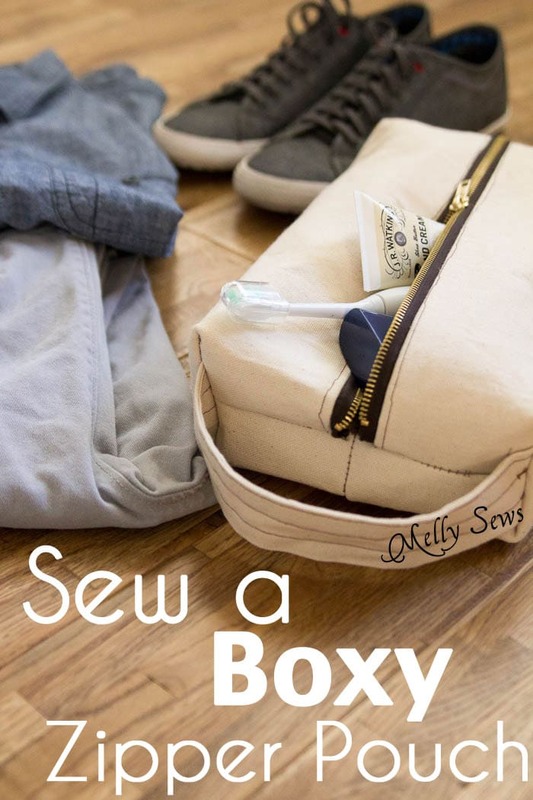 And today, I’ve got a special treat for you in the video tutorial for how to sew a boxy zipper pouch or dopp kit. 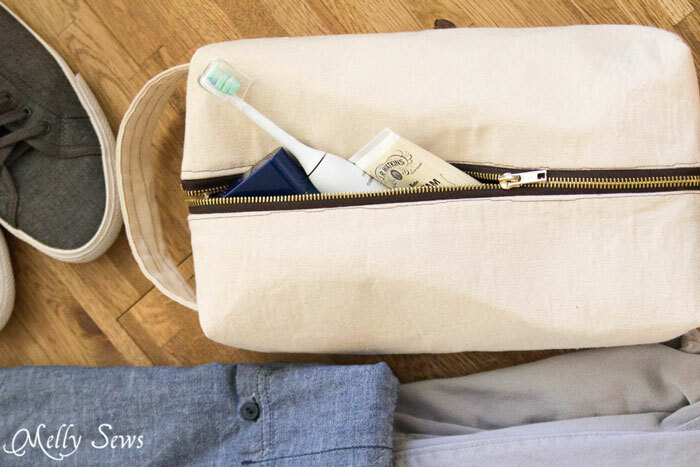 When I was a kid, I remember my Dad having a special bag to pack his travel essentials in. It was dark green nylon with a black zipper and strap. In fact, there is every chance that he still has the exact same bag and still uses it for travel. And though the Coach is quite happy with his ziploc bags for travel, I thought it would be nice if he had something a little nicer to put his essentials in. 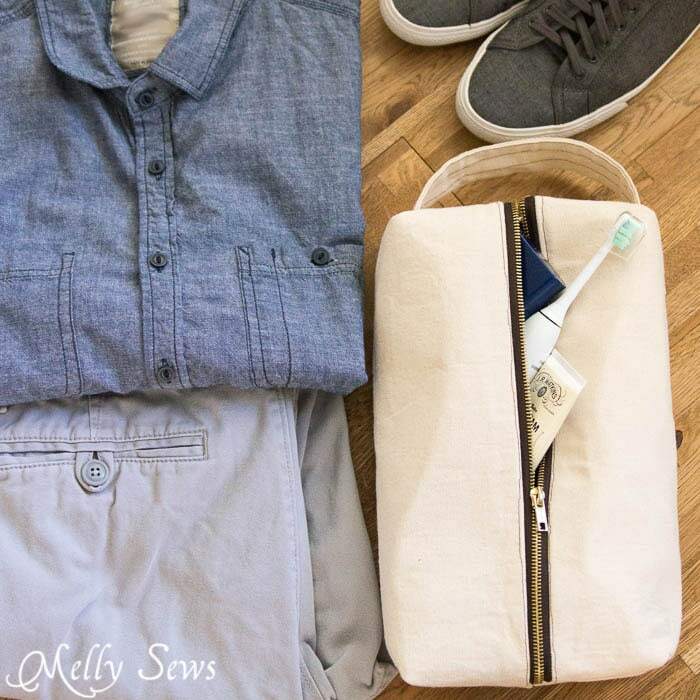 So we made this boxy zipper bag. That’s right – I roped him into sewing with me, and I got it on camera! 2 pieces each of outer fabric, lining, and (optional) Pellon 71F Peltex to stiffen the bag. Each piece needs to be 16 inches long by 10 inches tall. I used canvas for the outer fabric (I’m thinking I may experiment with waxing this later) and scrap linen for the lining. 1 Piece of outer fabric 4 inches wide and 10 inches long. To see how to put this together, watch the video below. Or, if for some reason it won’t load, you can also see it on YouTube here. If you prefer a written tutorial, scroll past the video for screenshots and written instructions. If using Peltex, fuse to the wrong sides of the outer fabric. 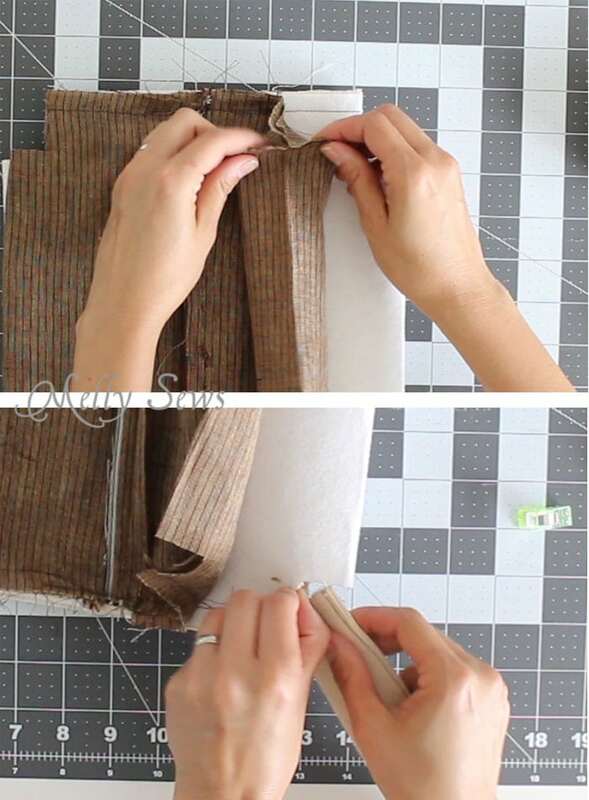 Place the zipper right sides together with one piece of outer fabric, centering it on a long edge and aligning the edge of the zipper with the raw edge of the fabric. 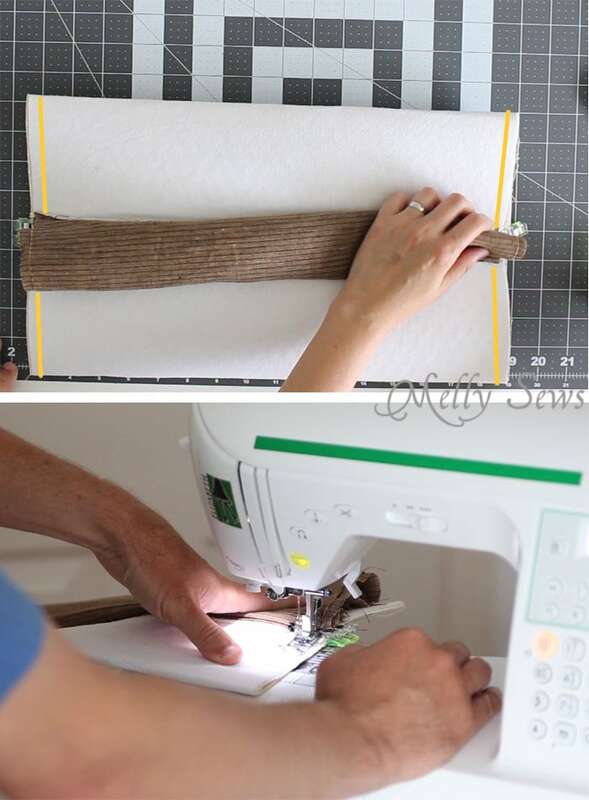 Place the lining right sides together with the outer fabric, so that you create a zipper sandwich. Using a zipper foot, sew the outer fabric, zipper and lining together. Fold the fabric and lining wrong sides together and press. 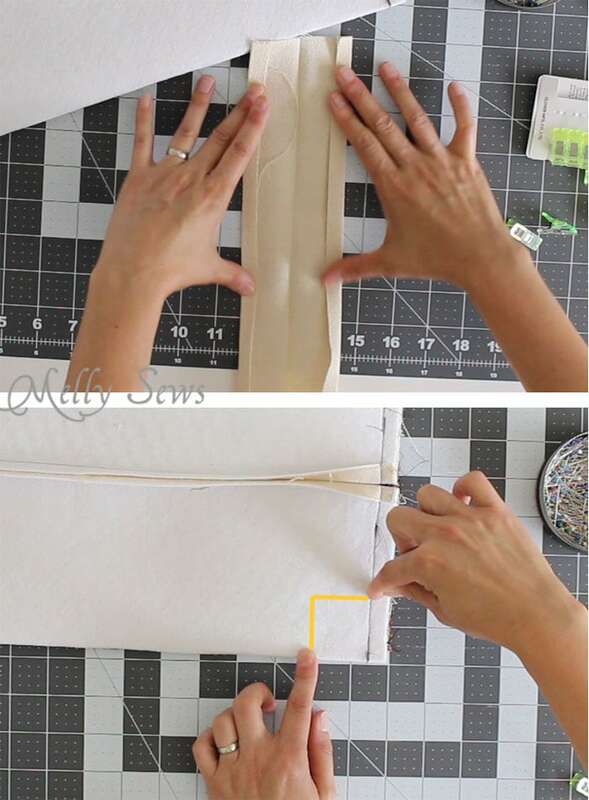 Make another zipper sandwich of the other side of the zipper with the remaining fabric, making sure the outer fabric is right sides together with the first piece of outer fabric. Press this side as well after stitching, then topstitch the fabrics close to the zipper teeth as shown above. Fold the pouch so that the outer fabrics are right sides together and the lining fabrics are right sides together. Align the edges opposite the zipper. Stitch across the outer fabric straight acros, then stitch the lining fabric as well, but leave a hole in the middle for turning later. 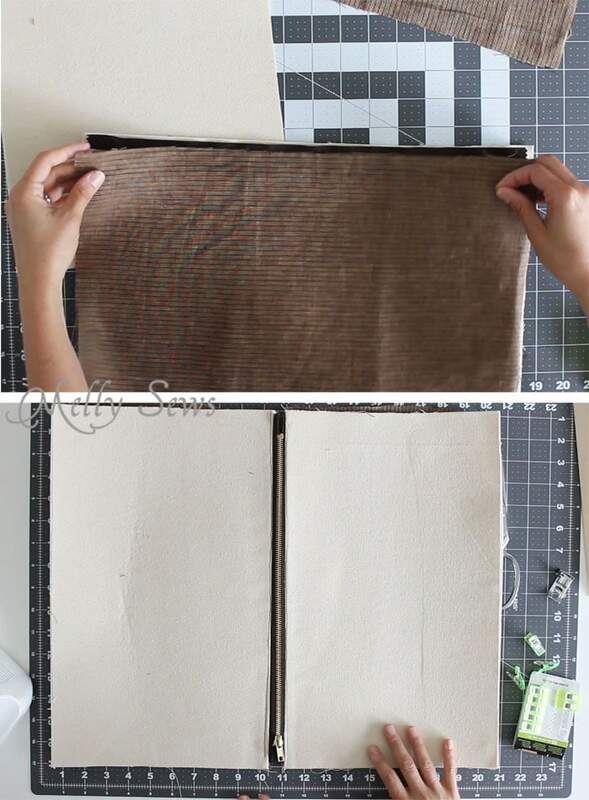 Fold the pouch so that the seams align right on top of the zipper on either side. Use pins or clips to keep the lining fabric out of the way, then sew each corner of the outer fabric to as close the the zipper as you can get. Make sure to backstitch at the outer edge of each corner. Repeat this process with the 4 corners of the lining fabric, holding the outer fabric out of the way. Once all 4 corners are sewn, sew across the zipper area where you left a gap. Sew through all layers – outer fabric, zipper, and lining, and then backstitch across. 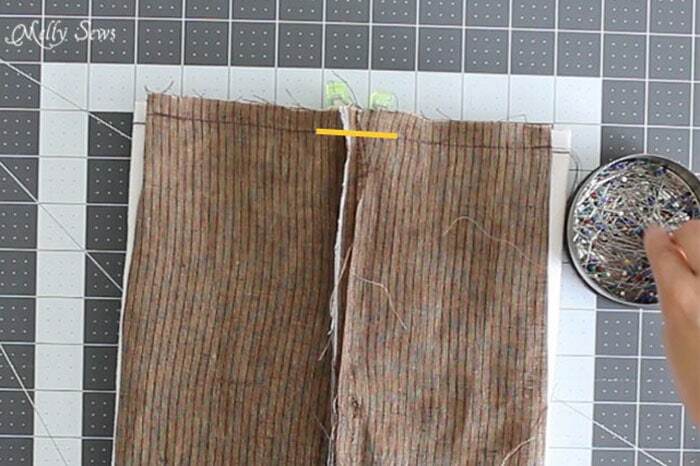 If you used a metal zipper, be very careful not to hit the metal parts with the needle. 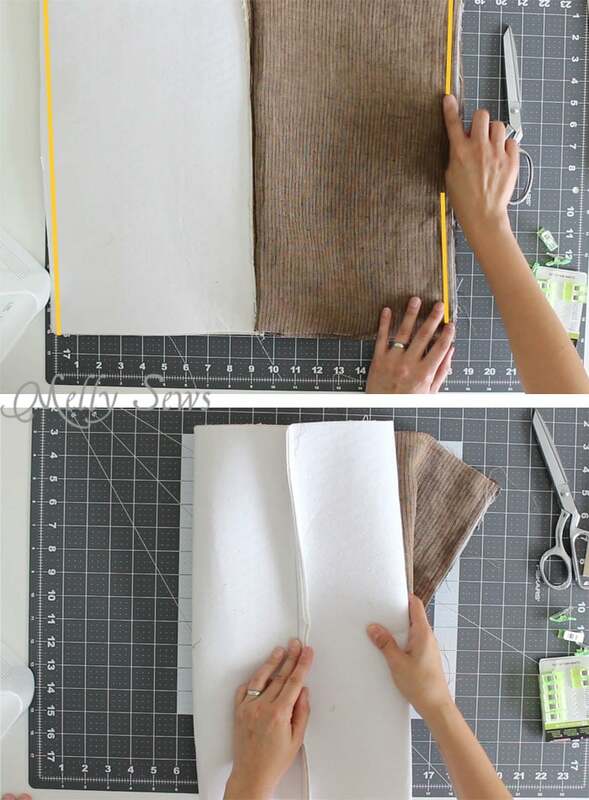 Take the handle piece, fold wrong sides together, matching long edges, and press to crease. Open, and press each long raw edge 1/2 inch to the wrong side. 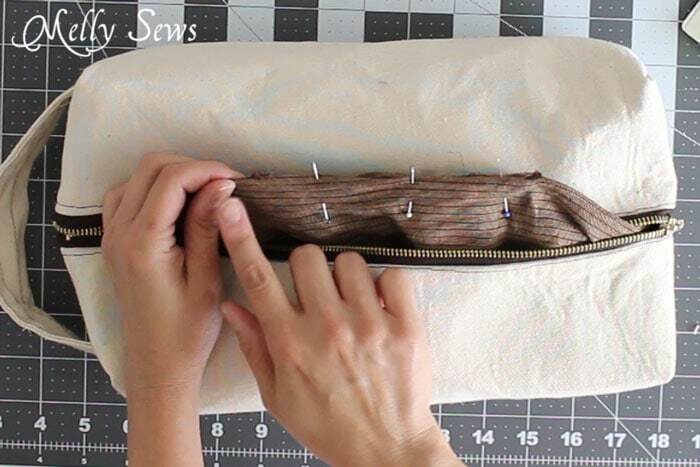 Fold the handle closed, then sew several lengthwise lines of topstitching, to close and reinforce the handle. Trim handle to the same length as one short side of the pouch. Mark off a 1 inch by 1 inch square from the seamline of each corner of the pouch as shown above. Cut the corners out. Pinch the corners so that the seam aligns with the fold, then sew across each corner. Repeat this step for each of the lining corners. On the zipper pull end of the bag, insert the handle through one outer corner. Box the corner, then pull the handle through the opposite corner on the short side. Box this corner as well. Box the last two outer corners. Finally, turn the bag right side out through the hole in the lining. And either turn the raw edges of the lining hole in toward each other and topstitch the lining closed, or use a blind stitch to hand sew it closed. Just in time for Father’s Day! Do you think it’d be better to wax after construction, or before? Would it gunk up my sewing machine too much to wax it first? I was thinking of using beeswax in my home oven. He’s such a great sport!!!! Thanks Coach!!!! Hi there. I love that you also make things for men. 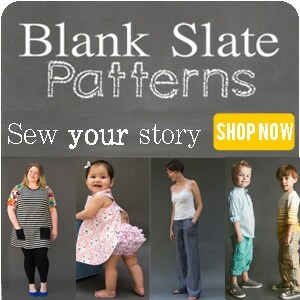 I sew and crochet but I always seem to be geared toward women and children. Thank you for the tutorial, I love the husband and wife interaction. It literally make me laugh it was great!! OK – I did something wrong. I pulled through the boxy bag it was inside out. Now, the zipper pouch I’ve made 20 of those -but this one just didn’t work that well. I really couldn’t tell which side was your white canvas fabric and which was the Peltex, so maybe that’s where I got confuse. I just started sewing this year. OK, I figured it out – all is well in my sewing world. Love your tutorials. Thank you so much for sharing your talent. I loved this tutorial, he was funny to watch. I’ve made a couple of these bags before but like your hubby mine needed a new toiletries bag too, Noooooooo, he didn’t make it I did. I used Laminated camouflage fabric inside & out. I have to say I was very impressed with the finished bag.